Raucous coming-of-age comedy set in 1982 Stockholm. Raucous coming-of-age comedy set in 1982 Stockholm. 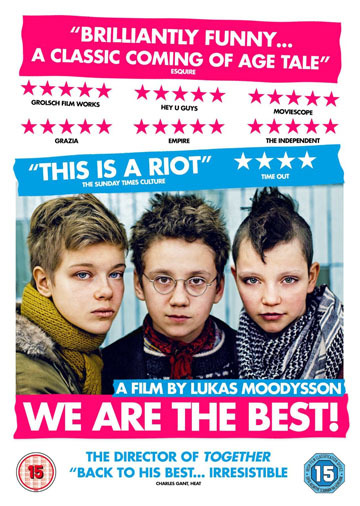 Lukas Moodysson directs this drama based around the lives of three young girls in 1982 Sweden. Bobo (Mira Barkhammar), Klara (Mira Grosin) and Hedvig (Liv LeMoyne) are bored of the 80s pop music that is sweeping the nation and decide to rebel and form a punk band. As the girls cut their hair, rip up their clothes and refuse to do their chores they attempt to convice their friends and families that punk is not dead.